International Trends and Services concerns our involvement with world affairs and foreign policy. • Haiti was devastated by the 2010 earthquake displacing 2.3 million people from their homes with little access to safe drinking water, sanitation and health care. • 1.55 million displaced Haitians gathered in spontaneous camps. • Liberia’s 14-year civil war ending in 2003 displaced communities and significantly impacted the ability to meet health care needs. • In postwar Liberia, only 354 health facilities of the pre-war total of 550 health facilities remained operational and are primarily staffed by NGOs. Nine of 10 doctors fled the country; medical training systems have collapsed. • Statistics for maternal and child health are particularly dire for both Haiti and Liberia. Starting in the 2010 program year, in response to the continuing needs of the people of Haiti, the International Trends Facet partnered with the 1199 SEIU We Care for Haiti Campaign to address women’s and girls’ health and hygiene needs. Selected personal items were individually packaged for direct delivery to female Haitians. This continuing Survival Kit Project was awarded the third place prize for International Trends and Services Programming at the 2014 National Assembly of The Links, Incorporated. For Liberia, the chapter has provided mama kits to assist in safe deliveries. Our collaborative partner and on the ground assistance for our Liberia project is Dr. James Sirleaf, physician and founder of HEARTT, Health Education and Relief Through Teaching. Dr. Sirleaf is the son of Liberian President Ellen Johnson Sirleaf, an honorary member of The Links, Incorporated. Clinician participation in HEARTT missions is a cornerstone of the foundation’s work. A Brooklyn Links physician travelled to Liberia for a mission project with HEARTT. Additionally, the International Trends and Services Facet is developing educational modules to assist Liberian health care providers. 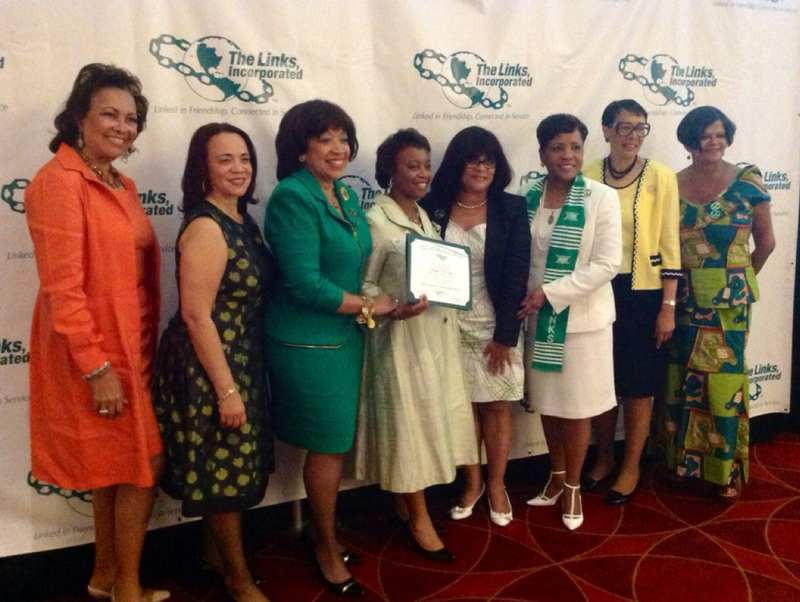 The Brooklyn Chapter of The Links, Incorporated is a service organization of African American women addressing the needs of people of African descent in Brooklyn and the Greater New York area.